I’m sat here in Whitby at Sandlers Yard which is one of my favourite eating places in the town. I am here with a bunch of good friends. If you were to describe them it would involve the words: tattoos; piercings; black; dye; leather; velvet; lace; make-up. 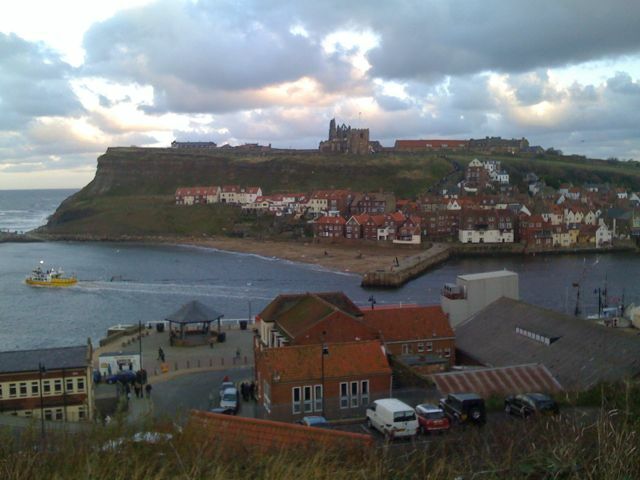 It is Whitby Gothic Weekend. The bi-annual pilgrimage of the Goths to the North Yorkshire seaside and fishing town of Whitby. I love it. The Abbey from the west cliff.